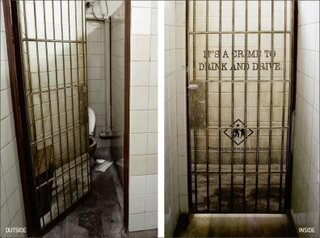 Looks like remodelling bathroom doors is the second hottest trend in out-of-home advertising right after hacking urinals (followed closely by crushing balls). This is a good one, though. 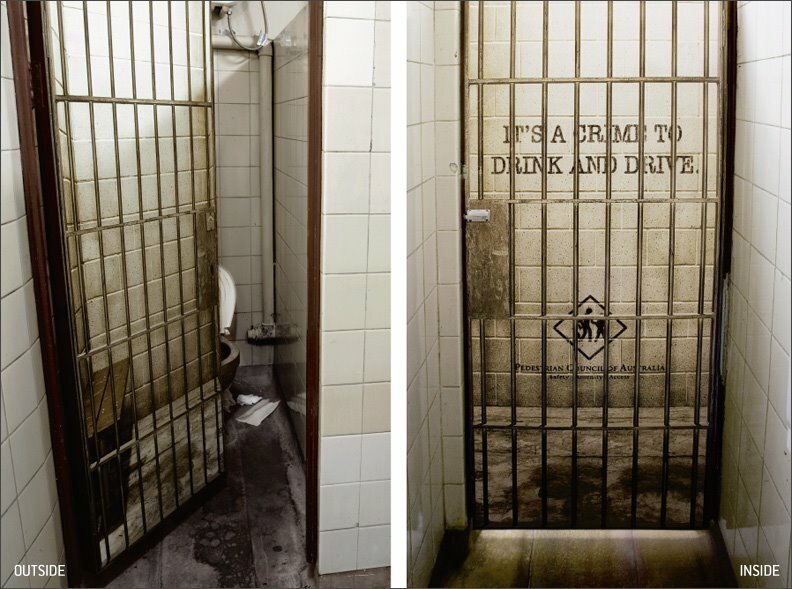 The Pedestrian Council of Australia made public bathrooms look like jail cells to convey the consequences of drinking and driving (don't-drink-and-drive billboards are a whole separate subject altogether).